The Institute of Directors (IoD) is seeking a new South West chair to represent its 5,000 members across the region. Current chair Nick Sturge, pictured, who is director of Bristol innovation hub Engine Shed, steps down in January after the standard three years in the role. The voluntary, unpaid position aims to promote awareness of the IoD and act as a conduit for member feedback. The IoD South West, whose members come from both the public and private sectors, is organised into six regional committees. 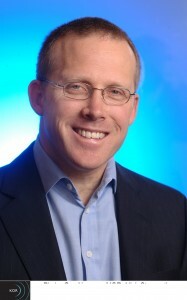 Nick said: “The South West has a well-deserved reputation for creativity and entrepreneurship. It has been an honour for me to represent our membership nationally, supporting them in their ambitions for development and growth and promoting good governance. Nick will remain actively involved in the IoD through his role on the IoD council and joint board and council nominations committee, and as being a member of the South West Chartered Directors Network. The IoD was founded in 1903 and is the largest membership organisation for business in the UK with 30,000-plus members. Anyone interested in applying for the South West chair role should send their CV to IoD SW by September 24.